Picture the scene. 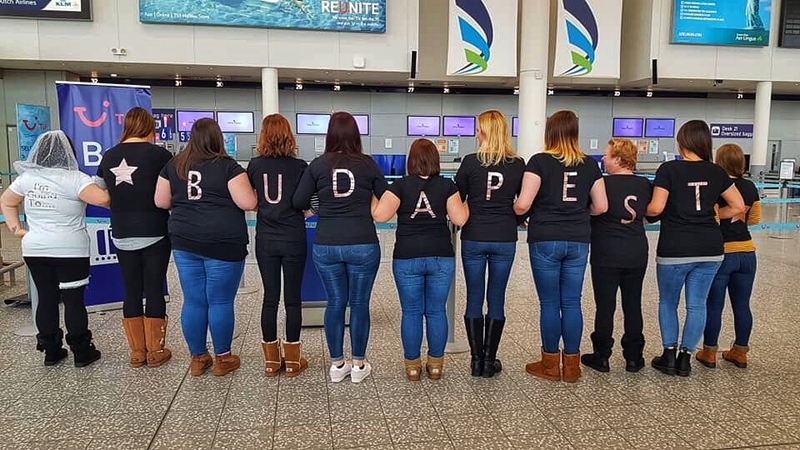 A hen party in Budapest … 11 women, 10 wearing groom-to-be masks, one dressed as Christina Aguilera, complete with two-tone wig and genie’s lamp, and a beer bike loaded with more alcohol than I naively thought a stag do of the same size would struggle to get through. 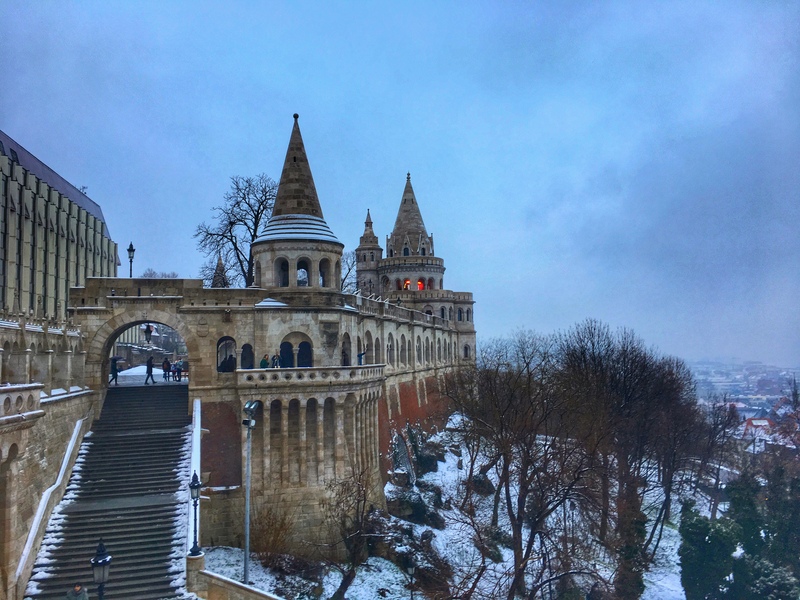 Budapest is a city I’ve wanted to visit for a long time … yep, even before the George Ezra song hit the charts, it’s been on my travel wish list. 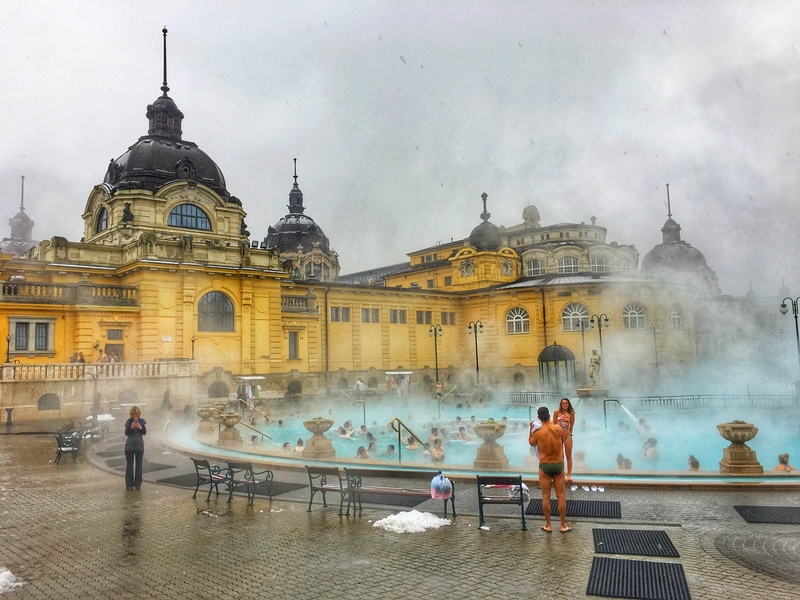 If you’ve been a reader for a while, you’ll know that we have (what was a 10-year) plan to visit every capital city in Europe as a couple or family. 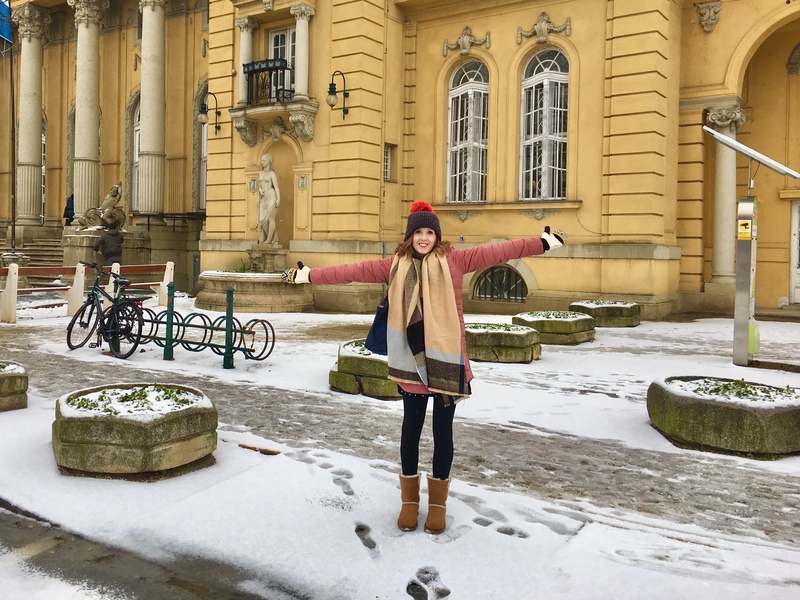 So, I expected that when I did make it to Hungary I’d either be dipping in and out of cafes with Stew if we managed to escape the little ones for a weekend, or looking for child-friendly sights around the city to take in. 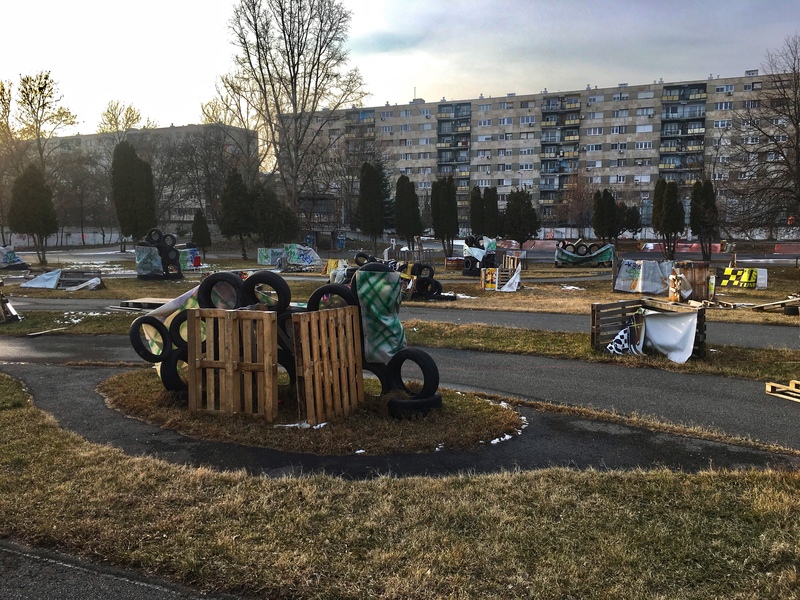 What I didn’t expect was to be part of an 11-strong group of females roaring with laughter as we pedalled around a park in the middle of nowhere with The Nolans blasting. 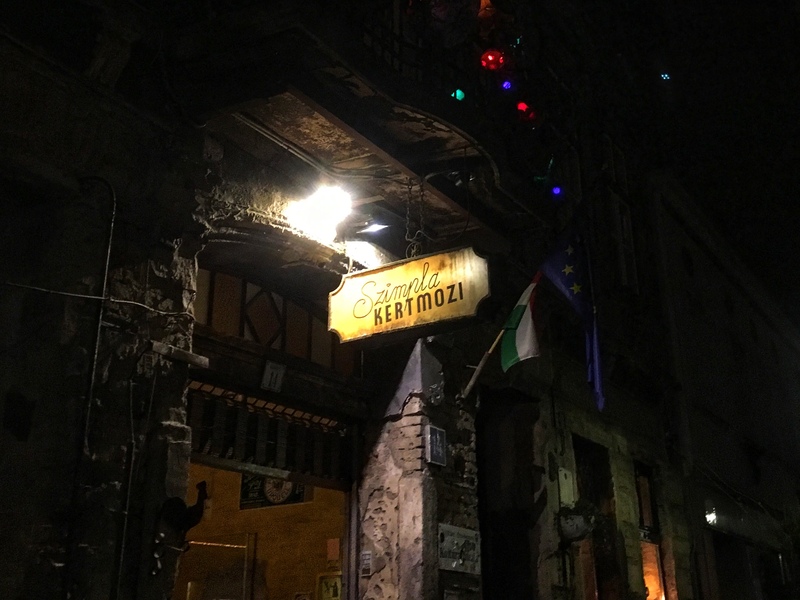 Yep, we hen partied Budapest. If we rewind a little bit, we’d all met at Wetherspoons on the Saturday – me turning up late as usual due to a combination of wanting to hang on to a few more minutes with the boys, and the necessity of taking out the three books and bag of random coins the biggest boy had stashed in the top pocket of my suitcase (doesn’t he know how ridiculously strict RyanAir hand luggage rules are?!). I’ll admit I was a bit nervous. I can’t remember when I last went on a girls’ weekend, I’ve missed most hen parties as I’ve somehow been pregnant for them all (you’d swear I had all the babies), I don’t really like leaving the boys, I’ve never been away with this group of girls, hadn’t met some of them before and I’m not a big drinker. Not exactly hen weekend material, am I?! So it turns out I can’t blame the boys when we’re last in the queue to board. But I did have a nice warm coffee for the flight, without the risk of scalding a small person. Beer bikers are relegated to a park after causing so much chaos in the city. That’s ok, I thought, assuming we’d be taken to the likes of Central Park with some nice monuments and maybe a picturesque frozen lake … only to be left practically crying with laughter when I realised we’d be doing loops of a track probably no longer than 250m, circling skateboard ramps, seemingly abandoned tyres and wooden pallets. Classy. It turns out we wouldn’t have seen anything beyond the road outside the park even if we had been let loose on the streets because we only had the man (woman) power to pedal our bike 4.5 times around the track … barely even one kilometre! We had to stop to rest every few metres, and even when we were moving you could walk faster than the bike! I’m pretty sure we worked off more energy laughing than cycling, between groom masks flying off our heads, the bride’s Christina wig getting tangled around her neck and our shocking attempt at pedalling (yes, we crashed). From there, our transport-related disasters continued. We confidently got on a bus back to our apartment, then slunk off in the middle of nowhere when we realised we were going the wrong way, missed three metros while trying to figure out how the ticket machine worked, climbed to the top deck of a boat for a river cruise (ignoring the snow-covered seats because, you know, we needed a better view for photos) only to be shouted at because we weren’t allowed on that boat, and caused so much chaos on a tram that we ended up not paying. I’m pretty sure we spent most of the weekend being those people you look at and think “what on earth are they doing? !” But you know what? I spend so much of our family holidays trying to be sensible, rounding things up so we don’t lose precious blankets and teddies, and making sure we don’t get lost (sometimes more successfully than others), that it was nice to have no responsibility for a change. If that meant attracting a few stares then I can live with that! We headed down to the ruin bars, which are actually bars in pretty ruined buildings, and they were so my kind of place for a night out. Random decorations picked up from junk shops, graffitied walls, and cocktails. 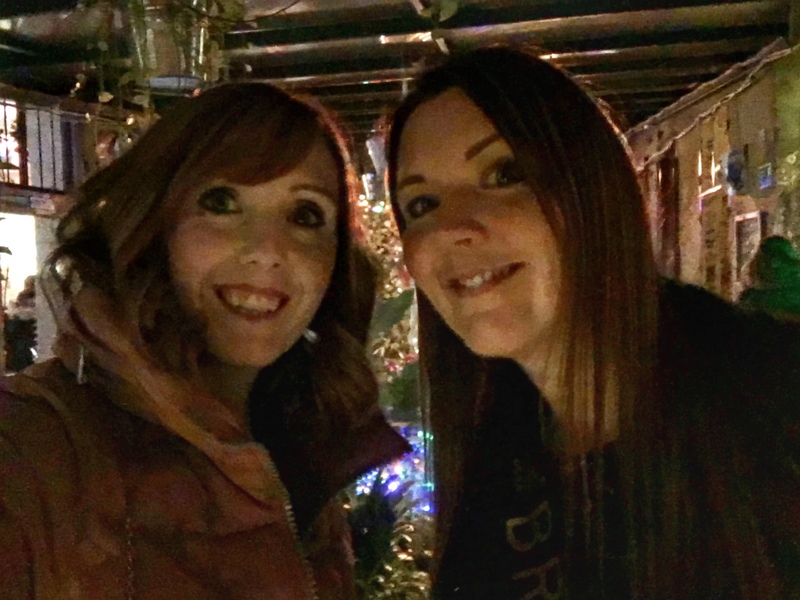 There was a lit-up globe in a cage, frames with bow tie-wearing dogs, and more fairy lights than a Christmas tree. So pretty … but rather cold. I’ve never worn a puffy coat and thermal tights inside a bar before. 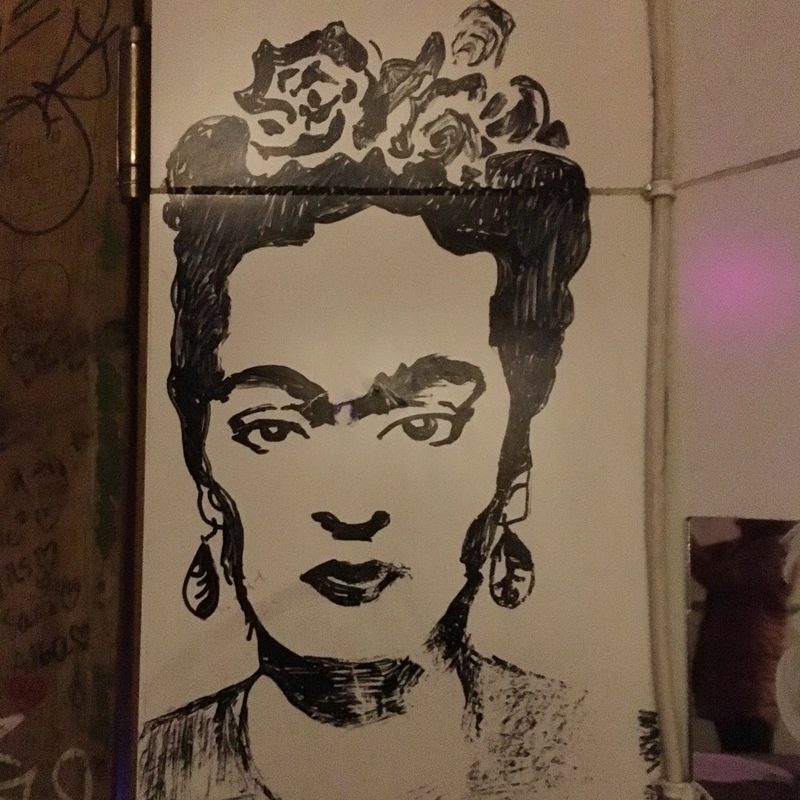 Gotta love a bit of Frida! We ended the night in Fogas Haz, which is a maze of 15 bars and seven dance floors, spread over a huge building. We settled in the Europop room, and danced away to Shakira, Jennifer Lopez and Justin Bieber … along with some Hungarian pop songs that I’d never be able to remember. Even if I’ve forgotten the songs, the image of actual grown men dancing on chairs to Hips Don’t Lie isn’t something that’ll leave me for a long time! The next day we discovered the best way to recover from a late night. 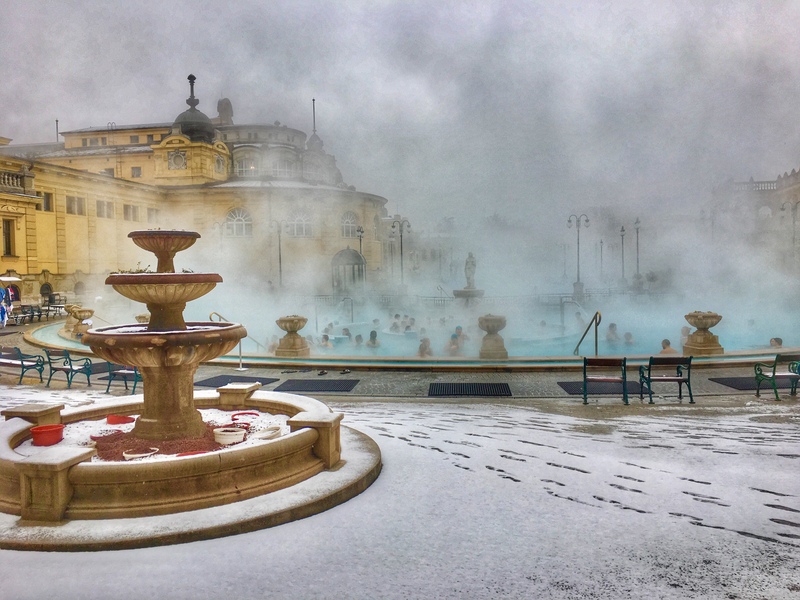 Baffle a taxi driver by asking to be taken to the outdoor spa while he navigated through pouring snow, strip down to our swimming costumes and sprint through slush to the most beautiful thermal water. The difference in temperature between the water and the icy air meant that we lost half the group to clouds of steam every few minutes, and even the best efforts not to get my hair wet were wasted without an umbrella to block the snow. It was the most amazing experience, and I’ so glad we were there during the winter. I’m sure it’s absolutely lovely in the summer, but it wouldn’t have been so much fun without the screaming as we ran, freezing cold, between the changing rooms and the water! 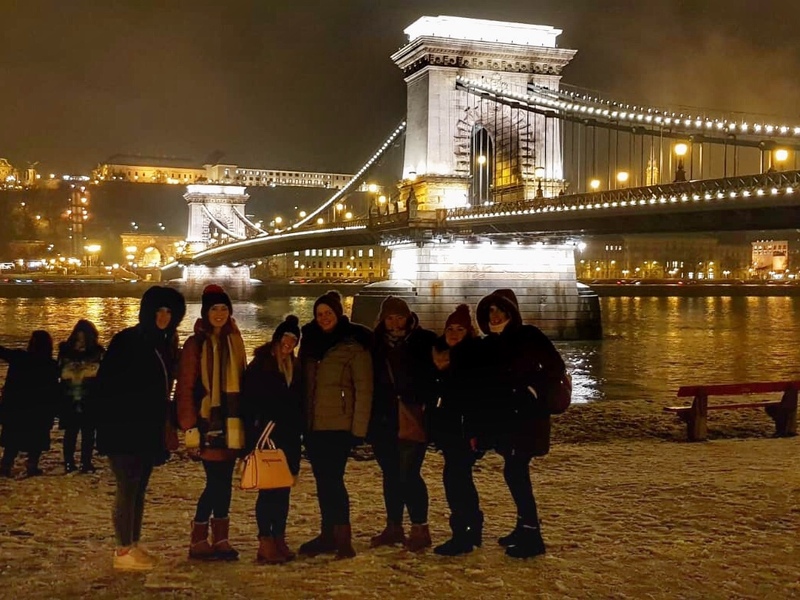 I won’t go into detail about everything we did (I might write more of a sensible post about the best things to do in Budapest on a hen do), but the rest of the day was spent sightseeing. 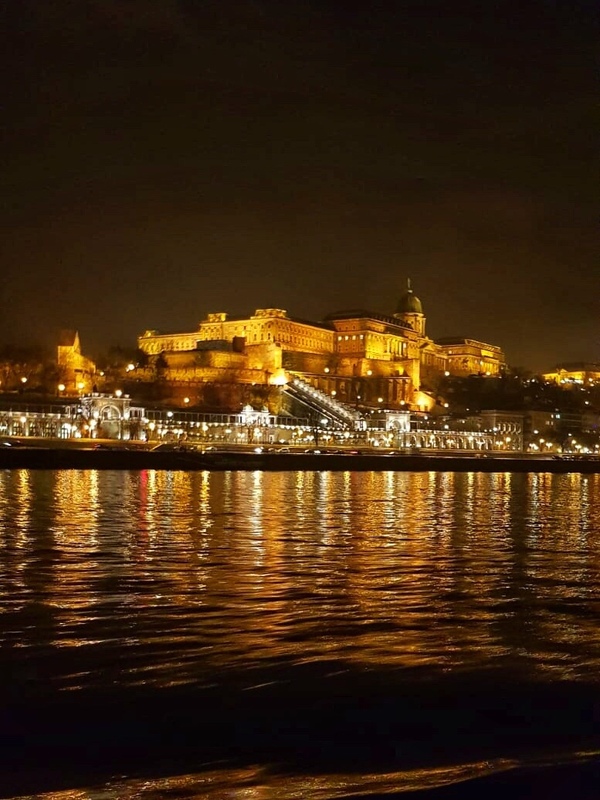 We hopped on a tourist bus – and couldn’t see anything through the steamed up windows (typical), had a quick stroll around the old town to see the Fisherman’s Bastion and castle, and saw the sights at night on a river cruise. 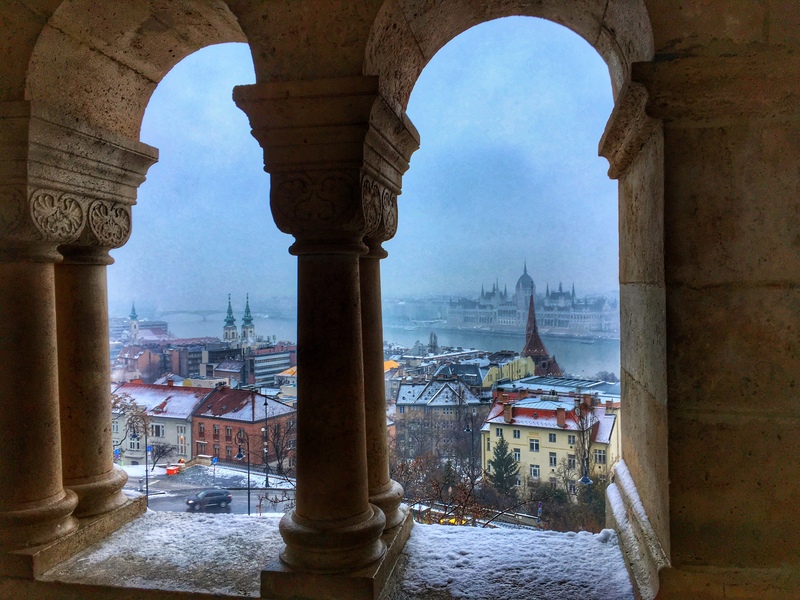 Budapest is a beautiful city, and I’d love to go back and explore it properly. 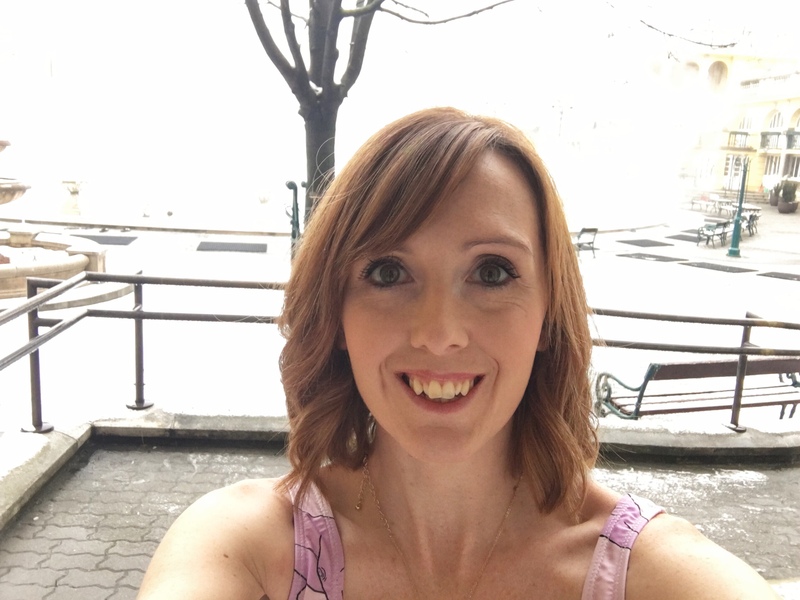 Maybe at a different time of year without the need for 250 denier thermal tights! 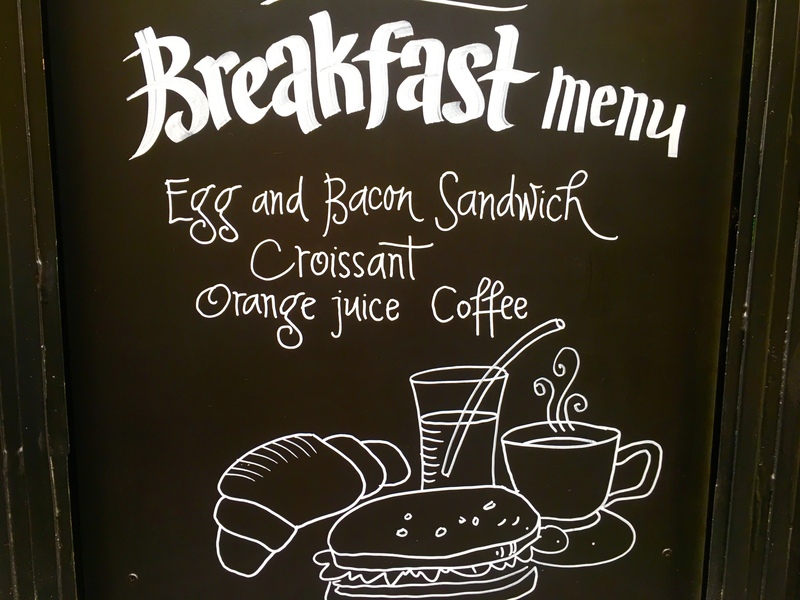 If eight people walk into a small cafe looking for breakfast, the waiter will claim they don’t do eggs on Sunday (while handing you a menu with no options other than eggs). Everything – yes, *everything* – costs around a fiver. You can get a cocktail which is basically rum and tea … what a dream! Chimney cake is amazing … but don’t attempt a full-on TGI Friday meal afterwards. Hungarians are VERY proud of their paprika. Heels are not necessary on a night out in Budapest. In fact, it’s quite easy to feel overdressed among the jeans and snow boots. Never leave a doughnut unattended overnight … or risk raccoons (or a hungry hen) stealing it. No matter where in the world you go, you’ll meet a local who knows someone from your hometown. In this case, the biggest coincidence of a waiter knowing the bride’s brother.